Day 1. 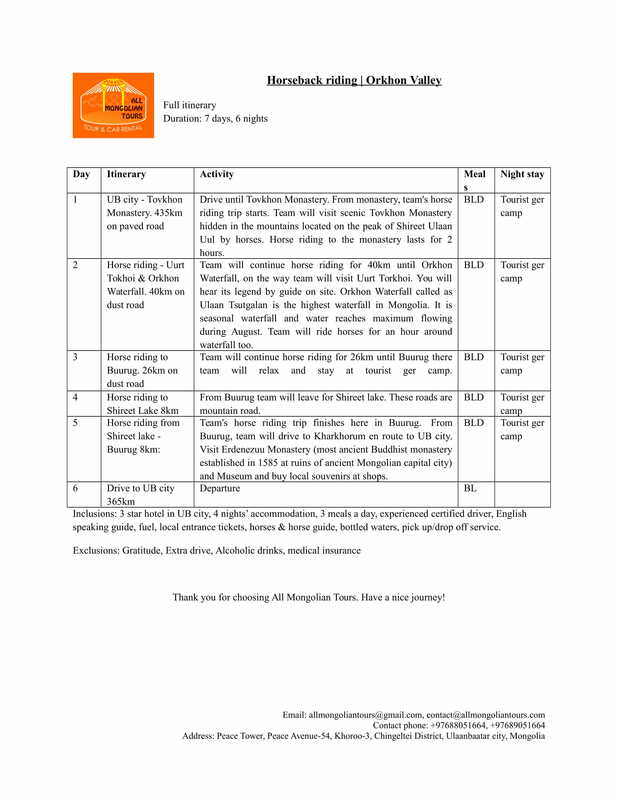 UB city - Tovkhon Monastery: Drive until Tovkhon Monastery. From monastery, team's horse riding trip starts. 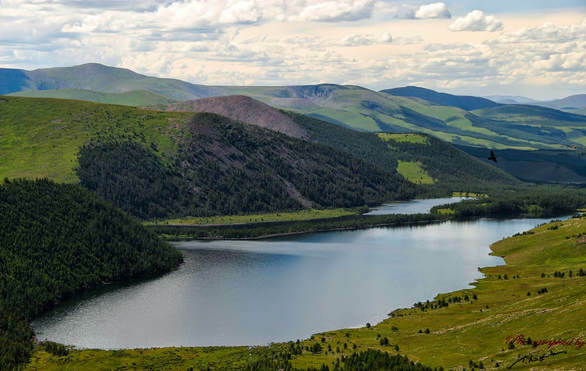 Team will visit scenic Tovkhon Monastery hidden in the mountains located on the peak of Shireet Ulaan Uul by horses. Horse riding to the monastery lasts for 2 hours. Day 2. 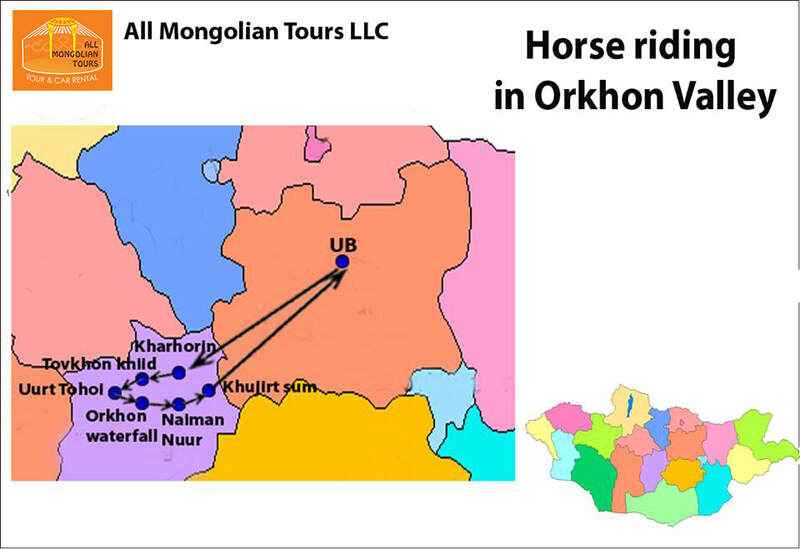 Horse riding to Uurt Tokhoi & Orkhon Waterfall: Team will continue horse riding for 40km until Orkhon Waterfall, on the way team will visit Uurt Torkhoi. You will hear its legend by guide on site. Orkhon Waterfall called as Ulaan Tsutgalan is the highest waterfall in Mongolia. It is seasonal waterfall and water reaches maximum flowing during August. Team will ride horses for an hour around waterfall too. Day 3. Horse riding to Buurug pass en route Shireet lake: Team will continue horse riding for 26km until Buurug there team will relax and stay at tourist ger camp. Day 4. Horse riding to Shireet Lake 8km: From Buurug team will leave for Shireet lake. These road are mountain road. Day 5. Horse riding back from Shireet lake to Buurug 8km: Team's horse riding trip finishes here in Buurug. Drive back to Kharkhorum city: From Buurug, team will drive to Kharkhorum en route to UB city. Visit Erdenezuu Monastery (most ancient Buddhist monastery established in 1585 at ruins of ancient Mongolian capital city) and Museum and buy local souvenirs at shops.